If you write stories, you will be asked what your stories are about and, unless you’re one of the people who can answer that they are about a boy wizard, this makes for a tough conversation. You could lay down a clueless cross-stitch of parameters – regarding form, genre, theme, plot, setting, motifs – that equate to saying ’round and red like a cricket ball, juicy like a rare steak and as good in soups as a mushroom’ in order to communicate the taste of a tomato. Assuming your inquisitor has had the patience to wait for your paroxysm of bitterness and self-loathing to subside and is still listening, you might get to explain that the remorseless necessity of living is what the fiction is about, and all the rest of it is just costume, props and lighting. This points to what makes the café such fertile ground for the short story. 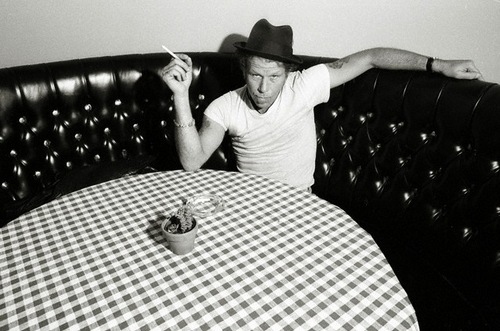 In my first post about cafés on this blog, I said that “I suspect there are answers to be found here as to why short stories never really progress as a form – and why, conversely, they are always relevant.” The lack of progression in short fiction may be better expressed as an aesthetic conservatism: reliant on long-established virtues; in constant conversation with its own past. The relevance, on the other hand, is configured in its enduring functionality, the way the genre has always shaped itself to form part of an essential ‘kit’ for modern living, whenever and whatever ‘modern’ was at the time. A desultory glance through its contemporary history shows periods in which the short story has functioned as modern myth and parable, amiable commercial distraction, a format for bringing the stories of ordinary people into the literary salon, training ground for the writers of the Next Great Novel, and, in this digital age, its current status as the perfect literary accompaniment for portable, hand-held, capsule living – exemplified in Comma’s promotion of the Gimbal app. The Gimbal enables you to access text and audio versions of short stories from (at last count) more than two dozen cities, simultaneously locating some of the stories’ settings and journeys in map and guidebook form. Like the mapping of Dublin in James Joyce’s proto-Gimbal, Ulysses, celebrated each June 16th on Bloomsday, and like Dante’s choice of Virgil the poet – rather than, say, Frommer’s – as his tour guide, there is an understanding here that you might discover the setting through the story, but that you might find a way to get lost regardless. The walls were distempered red above and the lower part was boarded, with the boards painted white. It was probably the boarded walls that gave it the peculiarly functional look you get in the snuggery of a public house or in the confessional of a small and poor parish church. For furniture there were only deal tables and chairs, with black-and-white checked tablecloths that were either unironed or badly ironed. But there was a decided feeling that money was not so much in short supply as dedicated to other purposes – as witness the paintings on the walls, and a notice over the fire-grate to say that there were others on view in a studio overhead, in rather the same way as pictures in an exhibition. They were for the most part experimental in their technique. It’s not difficult to see that, though this is not the opening paragraph of the story, it’s likely to have been the beginning of the writing. In those first two sentences, we have the writer taking stock of where she has found herself and discovering, in the physicality of the café, a personality. This personality is crucial because it enables a lone character to be seen in interaction. When there are other characters around, it’s easy to set them up in counterpoint to one another (and this will happen as In A Café progresses) and define them accordingly, but Lavin shows how it can be done when your character is in solitude. The character’s gaze is what’s important here, and it can be read in the way the physical detail is presented. We are in Mary’s Point of View and, in addition to being told what she is seeing, we are invited to observed how she sees. The observation of the ‘either unironed or badly ironed’ tablecloths, for example, is revelatory, not as a critique of the tablecloths but for the trouble taken to distinguish between the two explanations for their creases. The thought process is apparent here: this is the sort of place where they aren’t preoccupied with appearance, simply that the tablecloths function to cover the tables, and this is because the people here have removed themselves from the way of life in which formalities of appearance are a priority; or this isn’t a question of a lack of care but of a lack of competence, and someone has tried to iron the tablecloths but these aren’t people equipped to fit their café out to the standard that would meet normal commercial expectations – the money, it is noted, goes elsewhere. The automatic reading of this passage is of the author’s own first impression observations of The Clog, the Dublin café on which this is based, re-framed to suit the character and story she’s found. We can see close-up, though, that Lavin has fine-tuned the language to her character’s mind-set, enabling us to understand and know her so easily and well that each nuance within every phrase makes like the wind and cries Mary. But it was a different matter to come here alone. There was nothing – oh, nothing – snobby about being a widow. Just by being one, she fitted into this kind of café. She knew what Richard would have said about them. But she and Richard were no longer one. So what would she say about them. She would say – what would she say? In A Café, and Lavin’s writing as a whole, is full to the brim with moments like this, in which she articulates the uncomfortable nuances that sit between our better natures and the raw truth of our feelings. The conversation between Mary and the beautiful, young widow Maudie is immediately a kinetic surge of shared understanding which then acquires an awkward edge, utterly removed from any expectation of forlorn, noble suffering. When a male customer, who turns out to be the café artist, Johann van Stiegler, joins in their conversation, the unease between Mary and Maudie escalates. The reason for going to the café disintegrates and the action, unusually for a story in our Café Shorts series, moves outside. You get the feeling that Mary would prefer the company of Louise Mallard from Kate Chopin’s story. Like Chopin, Lavin was widowed at a relatively early age and what she took from this experience contributed to her most sharply observed stories. A Mary, who has lost a husband named Richard, though more recently, begins to come to terms with her solitude in In The Middle Of The Field, set on a large farm in Meath. 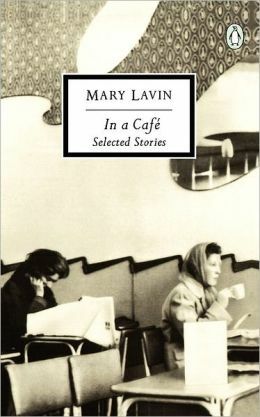 It scarcely matters whether the Mary of this story is the protagonist of In A Café, nor whether the broad brushstrokes of synchronicity with Lavin’s life are matched in the finer detail: Lavin’s achievement is not that she drew her stories from her own truth, but that her stories touch upon fleeting, ambiguous truths within all our lives. 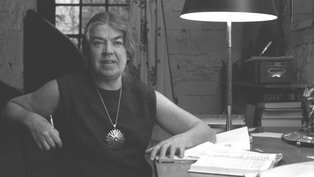 3 Responses to "Café Shorts: Mary Lavin’s “In A Café”"